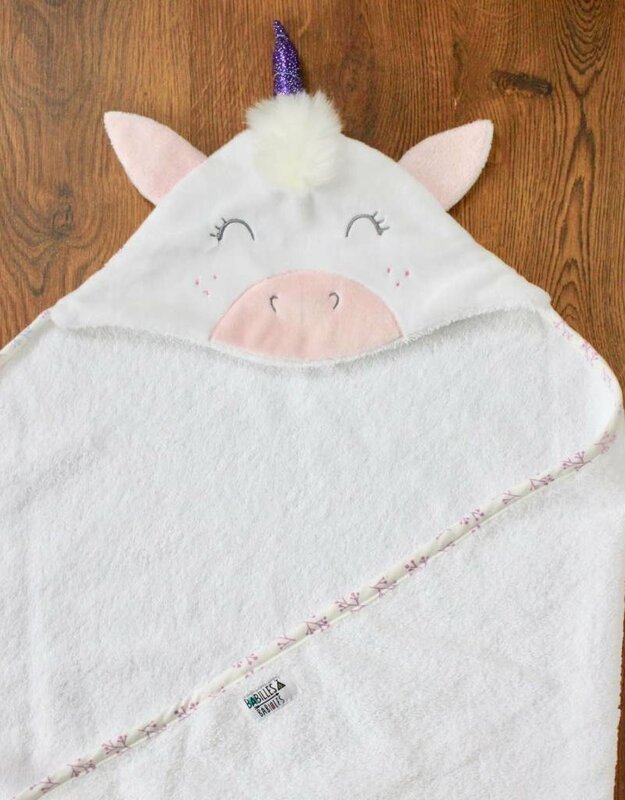 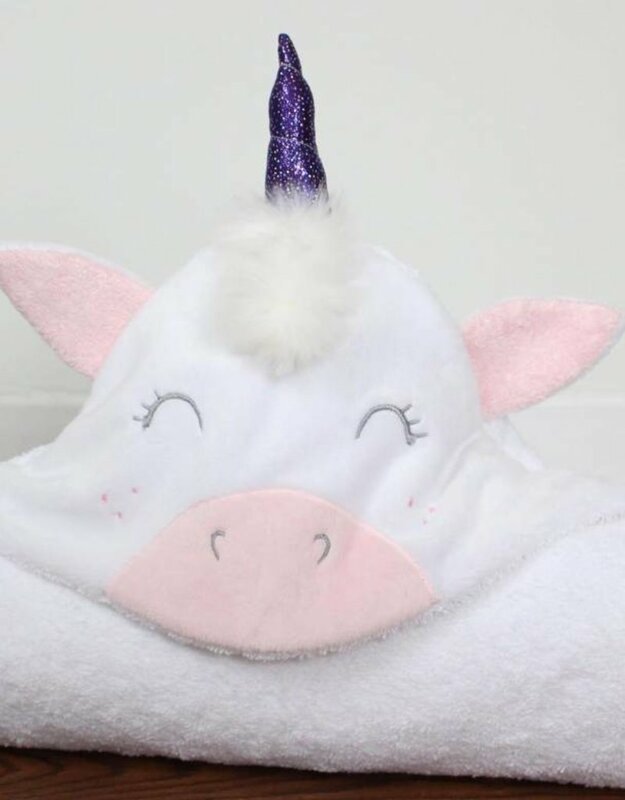 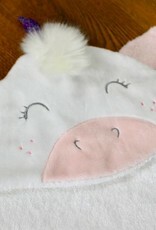 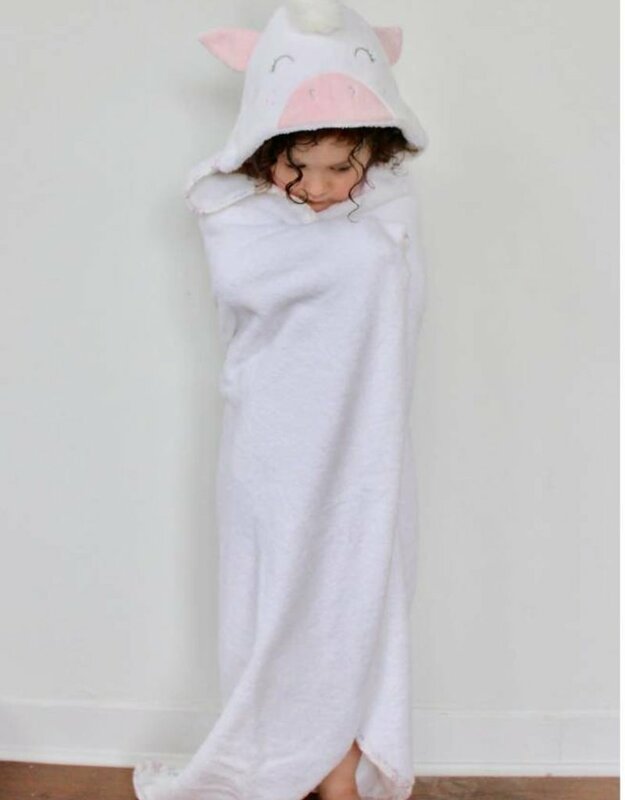 It will make you smile for sure when baby wears the pretty unicorn head to cover and dry her hair when leaving the bath. 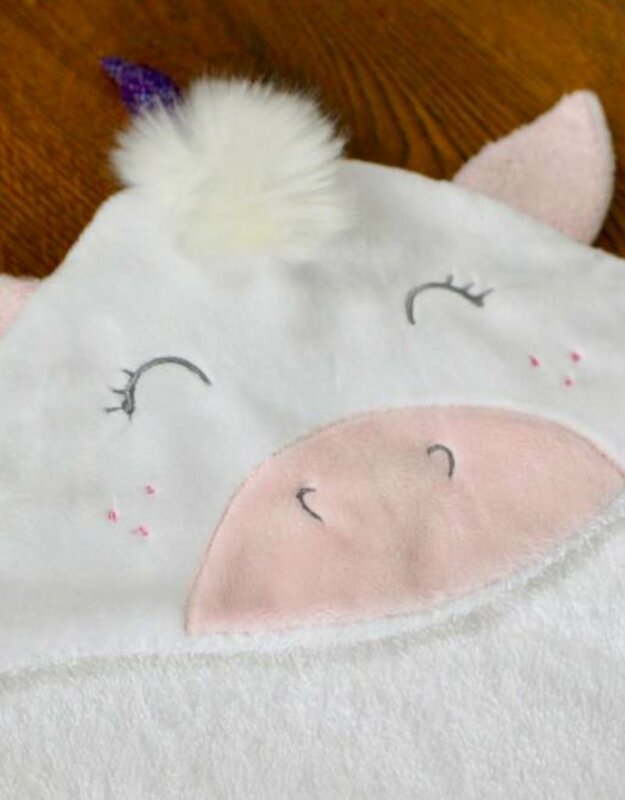 The napkin is thick terry; 100% cotton, the top of the head of the unicorn is in "Minky" ultra soft like a soft toy; 100% polyester. 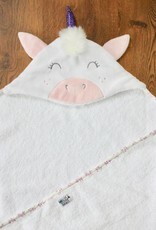 Dimensions: Square 40" X 40"